I have to give a big shout out to Faith from Faithfule Creations! She not only designed and created my new blog blinkie, but she even helped me get it on my blog so that all of you can grab it if you want! Thanks Faith, you are the best! Hi everyone, I am just popping on here for a few minutes to let you know that the SCAL video that I had planned for tomorrow is going to be delayed. I have contracted a nasty eye infection and it really hurts my eye to look at the computer screen. I am hoping that things will clear up in the next couple of days and I can get the video all done for you. Thanks for your understanding! As you may have noticed by my blog design, but I love peacocks. I think that they are just gorgeous! I wanted to create something that was "peacock inspired" but wasn't completely peacock. Here is what I did. First, I got out some gorgeous K&Company double sided paper. I selected 5 different sheets from the paper pack and then I used a Lettering Delights SVG from the Simple Flower Shapes and my eCraft was off and cutting! After cutting out all the flowers, I folded them in a bit on each side and adhered them down. I made sure to do half of them where one side of the paper is up and then the other half where the other half of the paper is up. That way I got more variety from my double sided paper. I then took a plain black picture frame and covered the edges in paper with some Glue N Seal...which is awesome! So much better than Mod Podge. Then I started laying all the "feathers" on the picture frame and adhered them down with some liquid adhesive. This took awhile to create, but it was worth it! I have been thinking of other simple shapes that I could use for this same technique, I was thinking, plain circles, scalloped circles, steampunk gears, pinking circles, etc. The possibilities are endless! 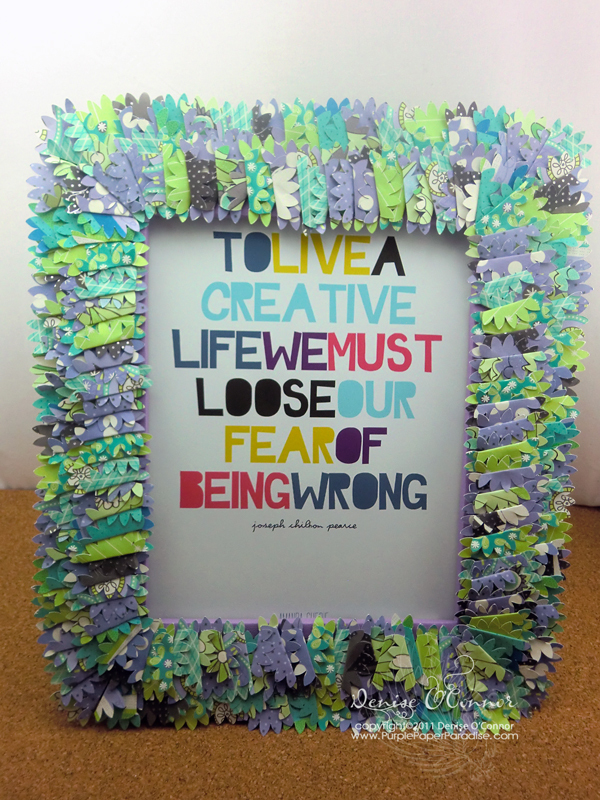 We have some winners to announce for the eCraft Back to School Blog Hop! First off is the lucky lady who is going to be entered in the drawing for the grand prize of an eCraft machine! Now don't despair ladies, because you will have another chance at this prize at our next blog hop on September 5th! The next winner has won 3 clear tumblers just like the one that I used in my project to decorate to your heart's content! Ladies, I have sent you both e-mails! Thank you so much to everybody for participating in the blog hop and don't forget that we have another blog up coming up on September 5th! Hi everybody! I am getting this video in under the wire! In today's video, I am showing you one way to utilize the eCraft's pen. In this card, I used the pen and a single stroke font called Stymie Hairline to create a text background. By using the eCraft colored pens, I went for a tone on tone look which gave it a real subtle look and exactly what I was going for here. Also, it is not too late to get in your comments for the eCraft Back to School Blog Hop. My post for this hop is HERE and not only will everyone have a chance at winning an eCraft machine, but I am also personally giving away 3 clear tumblers for you to decorate! Have a great weekend everyone! Due to some people having trouble leaving comments in Blogger, we have extended the deadline for leaving comments until August 22nd. Just a note...I had some trouble myself leaving comments, so I switched to Google Chrome and was able to do it from that browser instead of my usual Internet Explorer, so if you are having trouble, you might want to try that! HERE is the post that explains the requirements for the giveaways and also will give you the list of all the fabulous designers in the eCraft Back to School Blog Hop! Welcome to the BACK TO SCHOOL BLOG HOP! 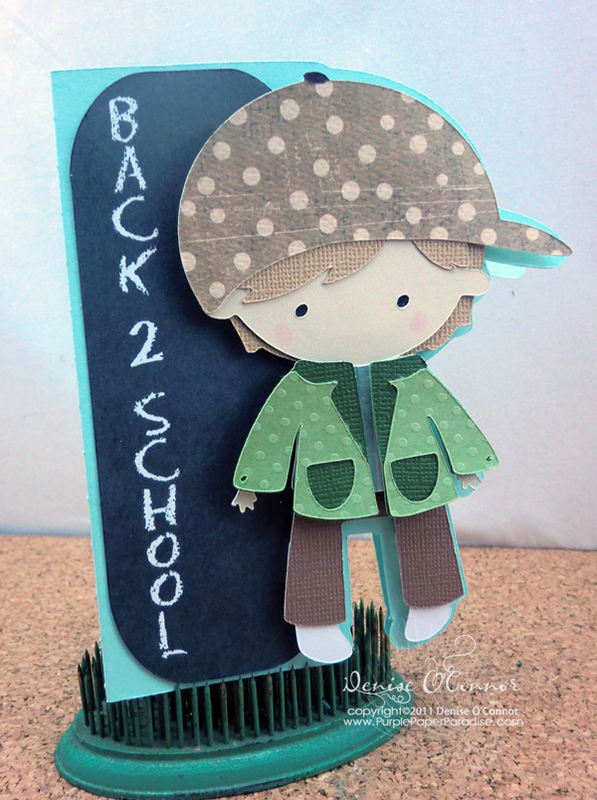 All of the fabulous designers on this hop are showing you a BACK TO SCHOOL project using the fabulous and versatile eCraft. Here is my project for the hop! This is a gift for my son's teacher and I hope she likes it! I have so much fun doing vinyl projects and this one was no exception! I made videos to document the creation of this project so that you can easily scraplift it from me! I broke it up into 3 videos to make it easier for you to find what you are looking for! In this next video, I used the new Conical Warp feature in MTC to get the vinyl to wrap onto the tumbler nice and smooth. 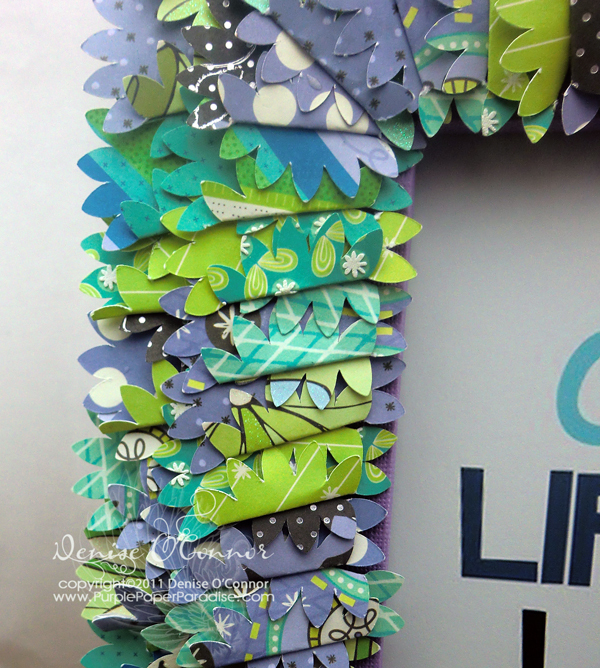 I also show how to do this when you are using multiple colors on the tumbler! In this last video, I show you how I apply vinyl onto rounded objects like this. Glossy Outdoor Permanent Adhesive Vinyl - this is essential for the tumbler so that it does not come off, and just a note that it is also safe to wash in the top rack of the dishwasher...BONUS!! Less dishes always make me happy! eCraft Cutting Machine - of course! qualify per person additional comments will not count.) Your comment must be posted by 6AM tomorrow 8/16/11! 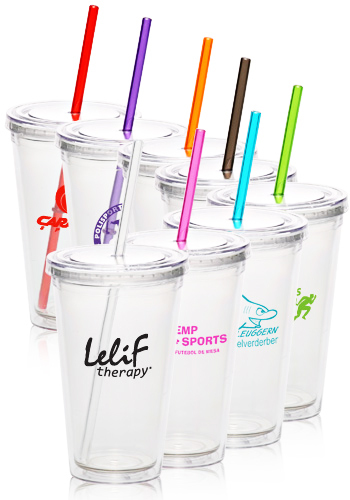 In addition you can win three clear tumblers which are PERFECT for your vinyl art! 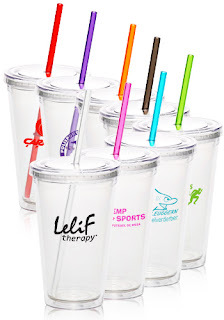 I will announce the winner of the tumblers right here on my blog on August 20th! This prize is also only available to US entries! Once you are done leaving your comments here, don't forget to head over to Erika's blog for even more chances to win! Hi everybody! Today I have my August MTC Video for you and today I am highlighting some of the great new features of Make the Cut that is in the latest version (3.3.3). If you do not have this newest version, you can go HERE to download it. Andy added in a lot of GREAT features, and I just had to demonstrate some of them for you here today. 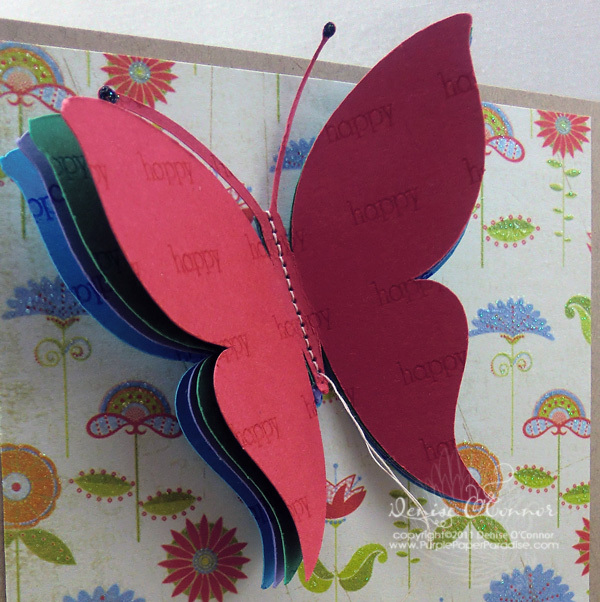 Today, I am making this card. 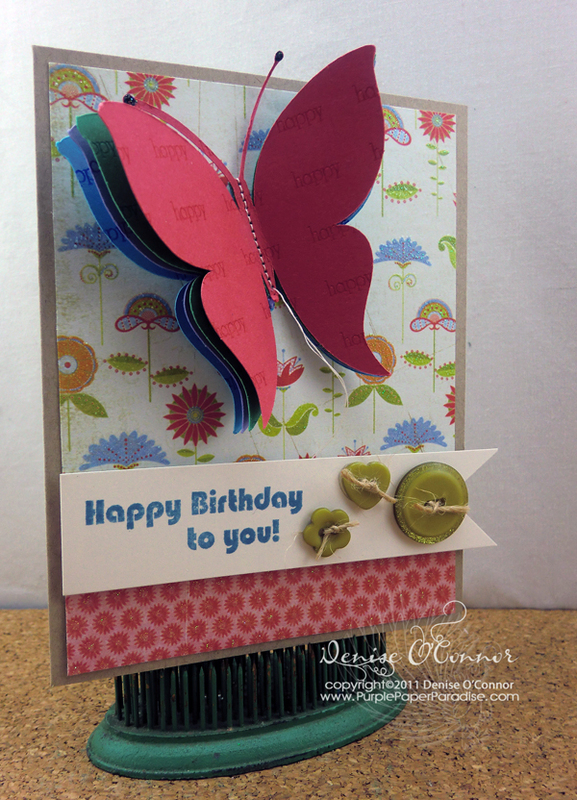 I know that I have shown you before how to make a shaped card, but this one is different because on this one, I used the Thin Path and Dashed Line feature to make a scoremark for this card. I also show you the new feature where you can grab your Lettering Delights Cut-Its and SVG files from directly in MTC. This is SO nice!!! 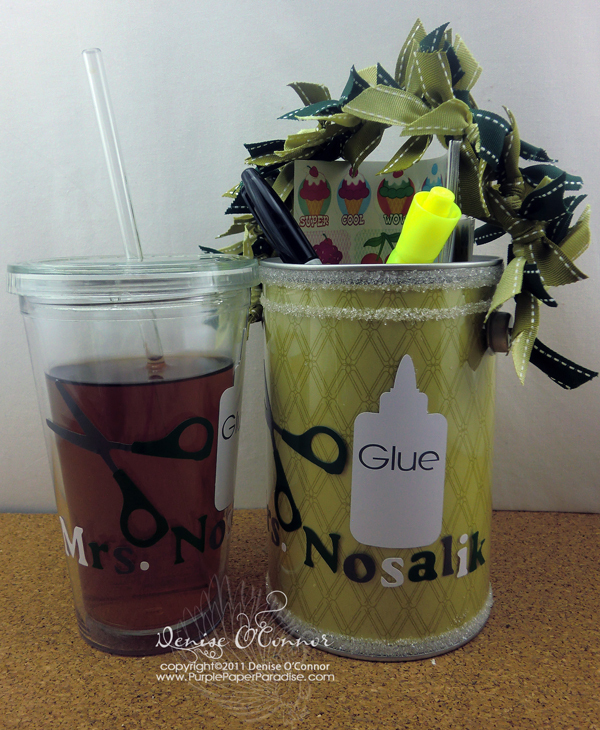 Enjoy the video everybody and don't forget to join me for the Back 2 School eCraft Blog Hop on the 15th!! Just a quick note to let you all know that I am going to be participating in a Back 2 School blog hop specifically for the eCraft. This hop is going to take place on August 15th, so I hope you all will join us on that day. More details to come! In the recent giveaway I did, I got several requests for more videos about SCAL 3. I really don't know SCAL 3 as well as I do MTC, but I am going to give it my all so that all eCrafters out there can effectively use the software of their choice. So, here is my plan...hopefully I can stick to it! Every month on the 1st, I will have a video for you using SCAL 3. On the 10th of the month, I will have a video for you using Make the Cut and on the 20th of the month, I will have a video using eCraftshop Pro. There may be more videos in there, but I am going to do my best to get these three done every single month. I am also going to do one other feature and that is another request that I heard and that will be "Ask Denise". I will be publishing this feature on an as needed basis. Send me an e-mail at Denise@PurplePaperParadise.com and ask your question and I promise that all questions will be answered. I may do more than one of these a month depending on how many questions I get. Now to kick things off, here is a video on SCAL 3 highlighting how to work with SCAL 3 layers as per a request from Candace. Don't forget to let me know if you want to see me cover anything specifically in any of the videos, because I often get inspired by your questions!